A “true” legal merger – where two or more legal entities cease to be distinct, assets and obligations transfer automatically to a surviving entity, and the other entity or entities cease to exist without going into liquidation. 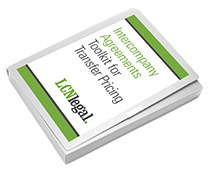 In many continental European countries, true mergers have been possible under domestic company law for many years. A “de facto” merger – where the commercial effect of a merger is achieved by transferring trade and assets. The transferor entities can then be removed by a solvent winding up or by strike off. The European Directive 2005/56/EC on cross-border mergers provides a way to achieve a ‘true’ merger. It can be used to merge multiple companies into a single company. When is a cross-border merger available? This mechanism is available for companies which have their statutory seat, central administration or principal place of business within the EU. There must be a cross-border element, so at least two of the companies involved must be governed by the laws of different member states. 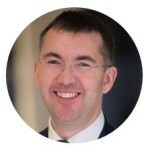 It is possible to use the Directive to achieve a domestic merger between two or more UK entities, by making sure that a non-UK company also participates in the merger. Merger by creation of a new holding company – where one or more existing companies cease to exist, and merge into a new holding company. The main legal document is called the ‘Draft Terms of Merger’, which sets out the key terms of the merger, including the effective date of the merger for accounting purposes. The merger must be approved by the shareholders of the relevant companies. Usually this is not an issue for group reorganisations, although in some cases minority shareholdings may need to be considered. A “pre-merger certificate” must be issued by the ‘competent authority’ in each jurisdiction. This certificate confirms that the requirements of the Directive and local implementing law have been satisfied. The competent authority for England & Wales is the High Court, and various procedural applications must be made. For other jurisdictions, the “competent authority” may be a notary or a court. Once a pre-merger certificate has been issued by each of the competent authorities, an application is made to the competent authority in the jurisdiction of the transferee entity (i.e. the surviving entity) to sanction the merger. The merger then takes place on the date specified by the sanctioning authority. This has the effect that the assets and obligations of the transferring entities are transferred by operation of law to the surviving entity. The transferring entities cease to exist, and the relevant national authorities (e.g. Companies House in the UK) are notified of the dissolution. Because of the court applications required, the minimum time frame to complete a cross-border merger involving a UK company is usually around 4-5 months. Pre-steps – if the participating entities are not already in a direct parent company / subsidiary relationship, or immediate subsidiaries of the same holding company, then it is often better to carry out share transfers prior to the cross-border merger to achieve this. This simplifies the operation of the cross-border merger itself. Employees – where the participating entities have employees, it is usually necessary to set up a ‘Special Negotiating Body’ in order to fulfil certain consultation requirements. This adds to the timeframe and cost of the merger. Liabilities – the competent authority for any participating entity may order a meeting of creditors to approve the merger. In that case, the merger would require consent by majority in number, representing 75% in value, of creditors present and voting. In practice, any actual or contingent liabilities should be considered in advance, so that appropriate arrangements can be put in place to demonstrate that creditors are protected. Contracts and licences – although rights transfer by operation of law, due diligence is still required in relation to any ongoing contracts and licences to ascertain whether change of control or event of default-type provisions apply. Transfers of trade and assets, following by a solvent liquidation / dissolution of the transferring entities. Creation of a “European Company” or “Societas Europeae” by way of merger of two or more public limited companies. Here are some of the pros and cons of a cross-border merger from a legal perspective, as compared to a transfer of trade and assets. Assets and liabilities transfer by operation of law. This usually avoids the need for novation of contracts or other actions to perfect the transfer of individual assets. A cross-border merger can be used to achieve a migration of the statutory seat of a company. A merger under the European Directive avoids the problem of assets being trapped in a transferring entity after a transfer of trade or assets. If instead assets are transferred by – for example, by way of a solvent winding up or a reduction of capital. Because of the court applications required from a UK perspective, a cross-border merger is often significantly more expensive than a simple transfer of trade and assets. For the same reasons, it usually takes longer. As mentioned in ‘key issues’ above, legal due diligence is still required to assess the feasibility of merger. Due to the employee consultation requirements, it is usually more efficient for any employees to be transferred out prior to a merger.